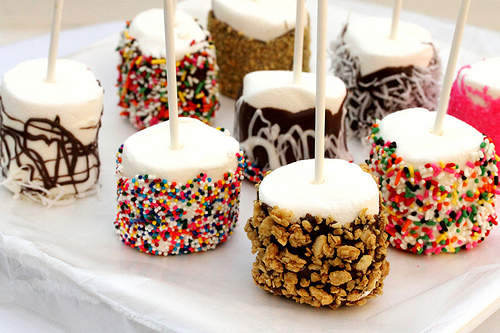 YUM is the only word to describe these marshmallow wedding favors! 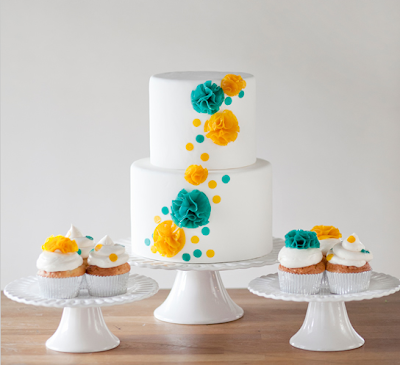 Can you believe these decorative flowers are made from fruit rollups? Loving this creative DIY flower garter! 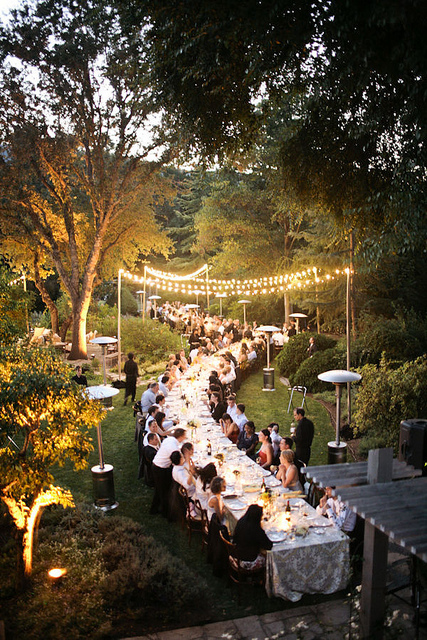 How gorgeous are these tablescapes? 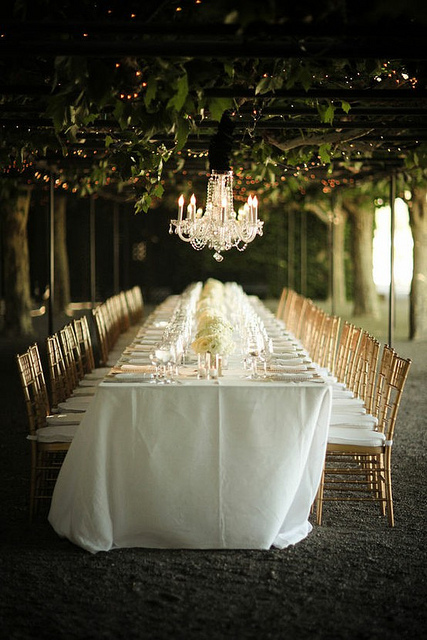 Check out their full post HERE for a collection of stunning tables! OMG - the long curved table with the lights hanging above is amazing! 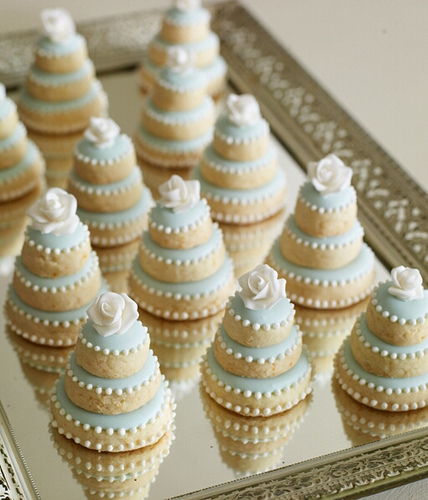 Finally, I adore these bridal shower cookies that look like mini wedding cakes! Have I convinced you how awesome this website is? I think I have family in Austin - and I must now go visit them! WOW! Thank you so much for the love!! Paul and Cori's Wedding Photos Are Here! Caprese in it's many lovely and delicious forms! Easy Memorial Day party inspiration!